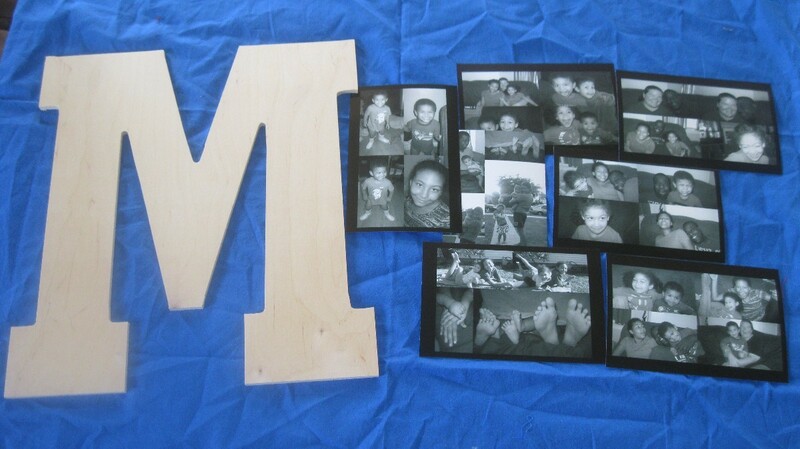 Print our your photos in black and white or color and then follow the steps in this guide to decoupage them onto a wood letter or box. 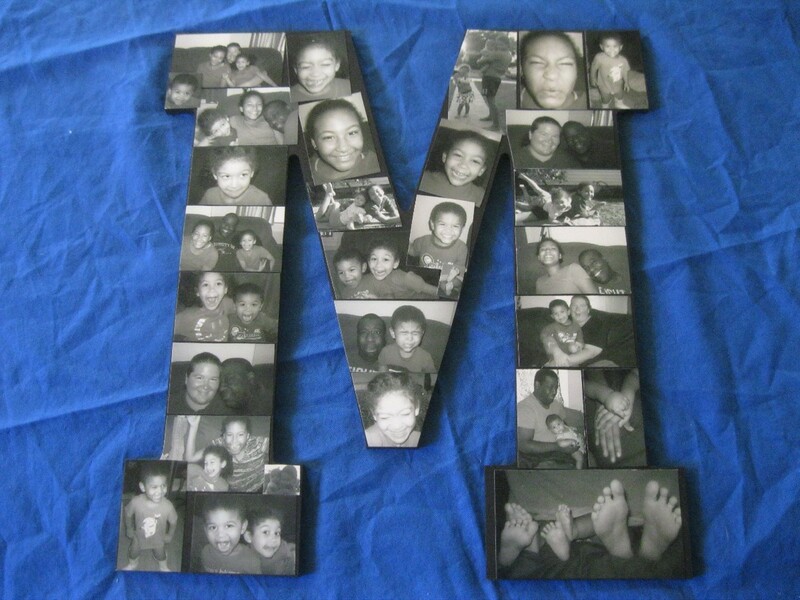 This guide explains how to decoupage photos onto a wood letter including step by step photos. I've seen a few examples of this project on Pinterest and couldn't wait to make one of my own. It's a real statement piece, but it doesn't cost a lot to make. You can use black and white pictures or pictures in color, depending on your preference. You could also use this method to cover a wood picture box or something else you would like to display your pictures. 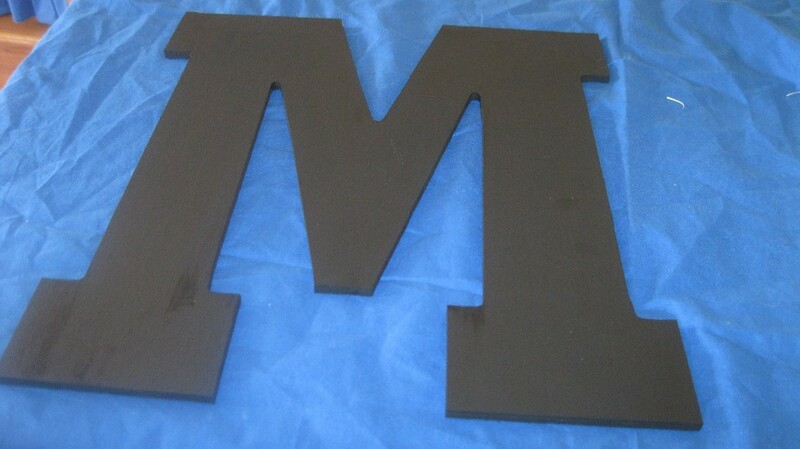 Paint your wood letter in the color of your choice. I had placed all the pictures on the letter first and then had to remove them all to paint the letter. Learn from my mistakes! :) I painted 2 coats on the letter. Allow the paint to dry. 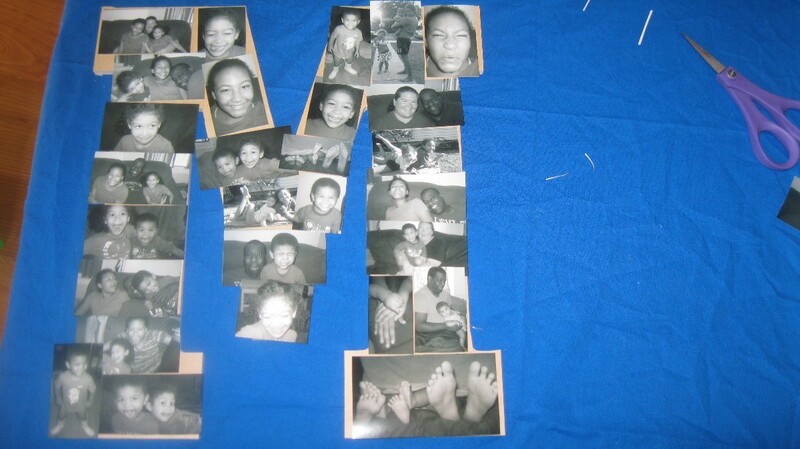 Place your pictures on the letter. This is the trickiest part. It takes a while to get them on there the way you would like. Just keep working with it til you like the arrangement. Trim the pictures as needed to make them fit on your letter. Apply the modge podge to the back of the picture and stick it on your letter. Once done, let the letter dry. 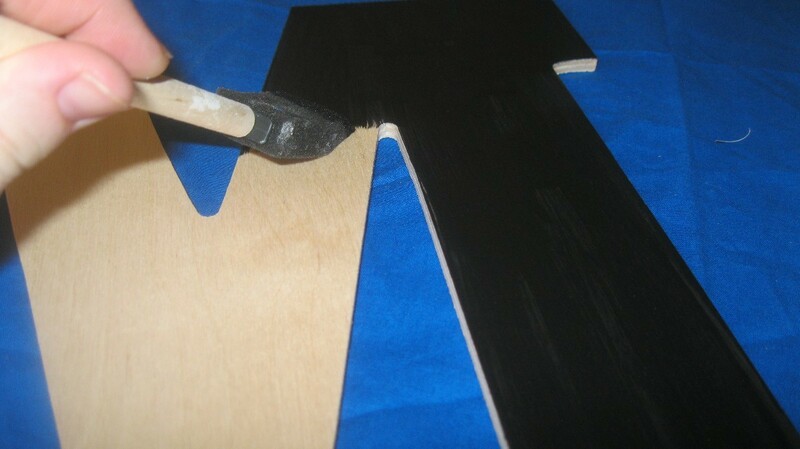 Then apply a clear sealant to the top and sides of the letter. I love Liquitex gloss varnish because it's not sticky and it's durable. But, you could use a spray sealant of your choice.